Splash! 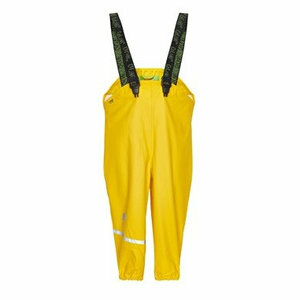 What a wonderful wind and waterproof rain pants this is for your child! 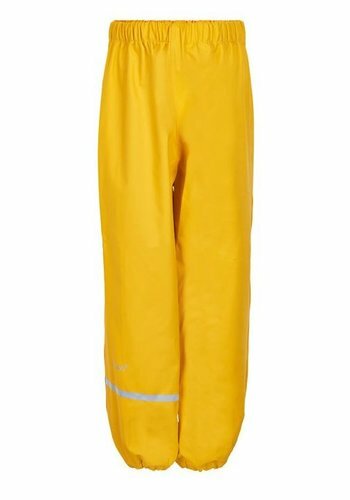 Note: size 110-140 without shoulder straps, and is a rain pants and no dungarees. 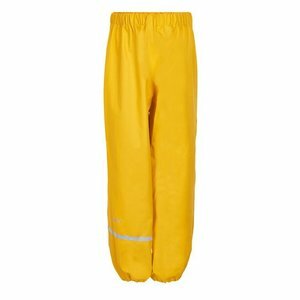 These yellow children's rain pants not only look great, but are absolutely waterproof and windproof due to the polyurethane layer and the welded seams. 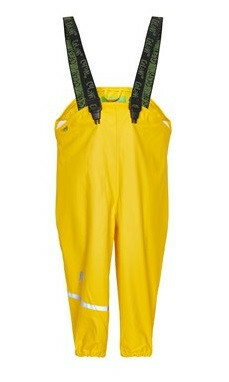 The rain pants can be adjusted lengthwise with elastic braces. The width is also adjustable at the waist with press studs. The adjustable, elastic straps on the legs ensure that they do not slide up when playing and cycling. Security is also thought of in twilight and dark: the pants are provided with reflection. 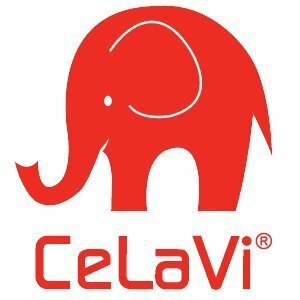 The trademark of the Danish brand Celavi is an elephant and is a safe eye-catcher in the dark because of the applied reflection. 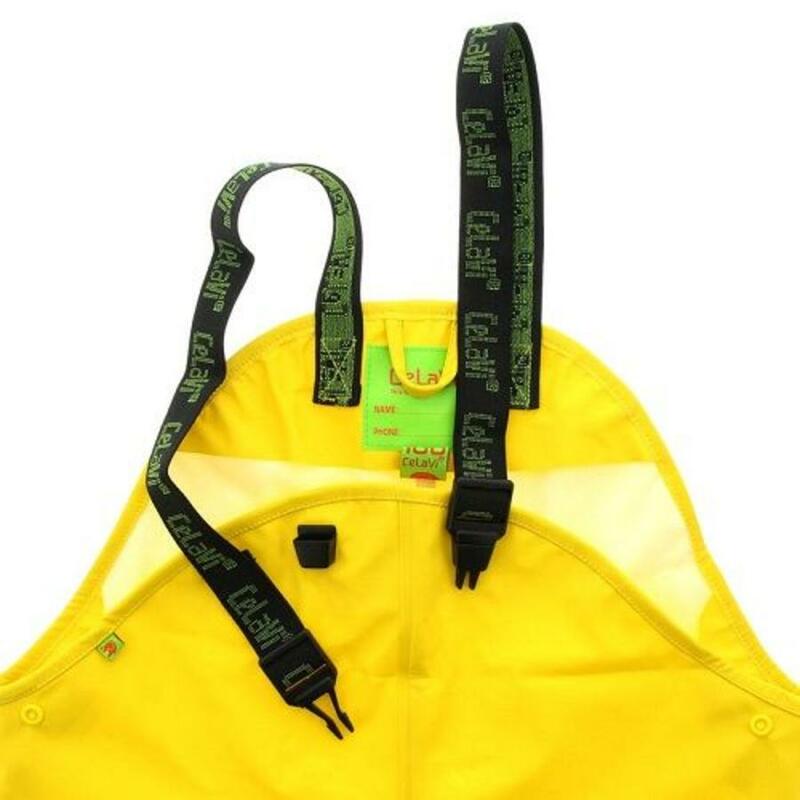 Adjustable suspenders and waist to be taken through buttons. 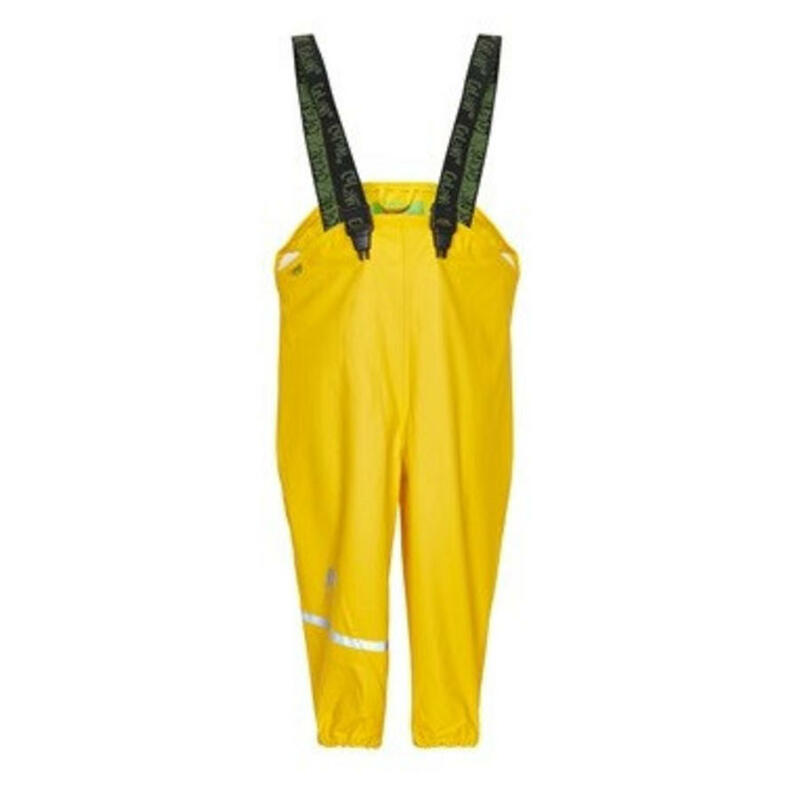 Note: size 110-140 without shoulder straps, and is a rain pants and no dungarees. Note: is large / large. Choose your own size as much as possible, or smaller. Example: Does your child have size 104 then choose size 100 and not 110. Washing machine at max. 40C, wash inside out. Do not prefer to spin.